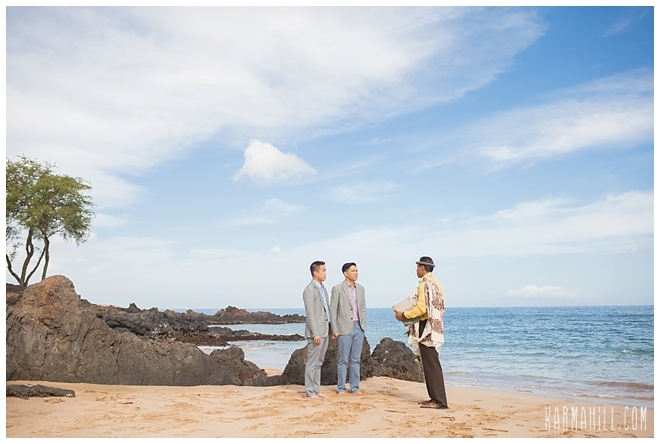 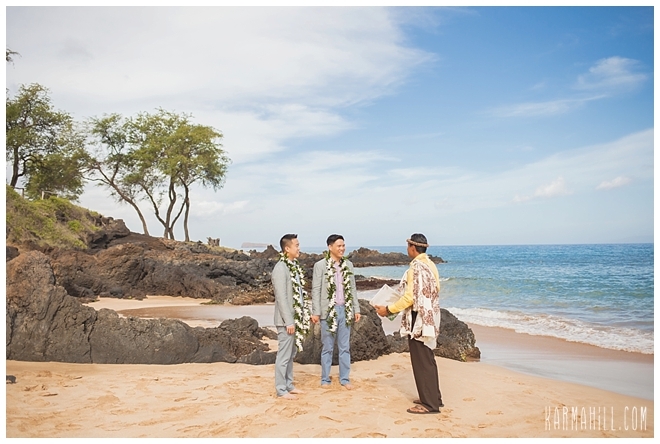 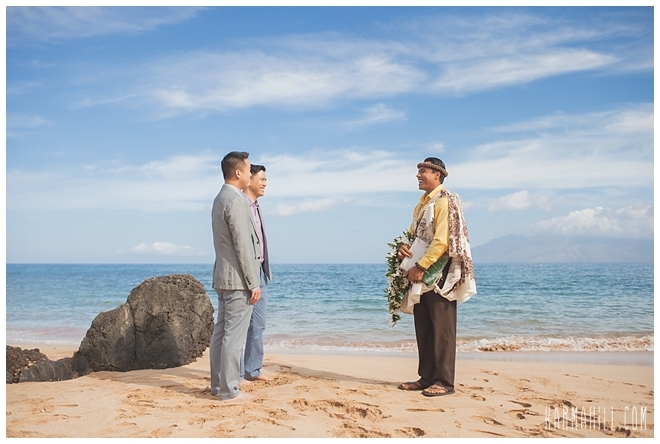 It was a gorgeous bright and sunny morning at Maluaka beach for Christopher and Anthony's Maui Wedding! 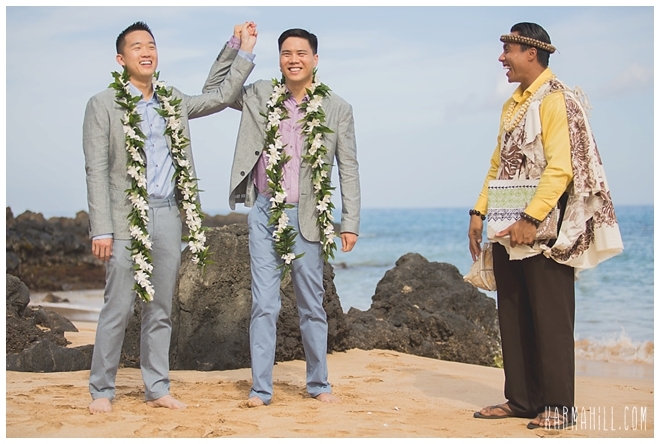 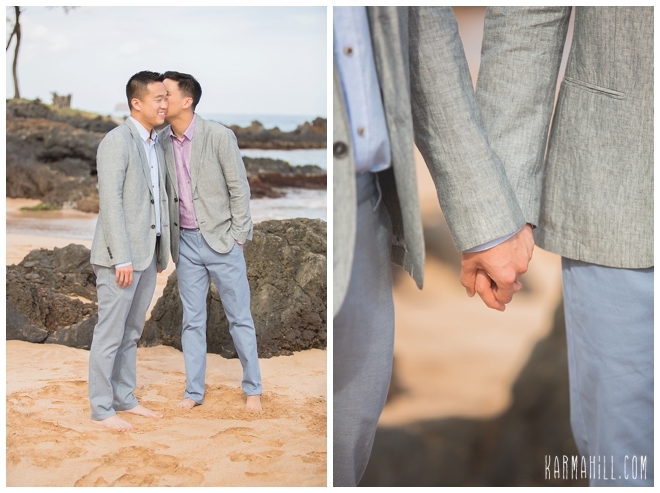 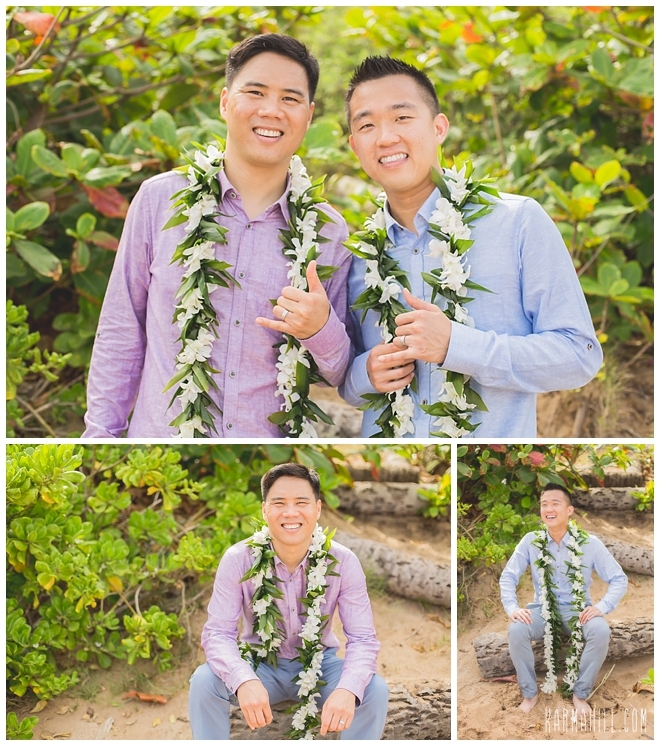 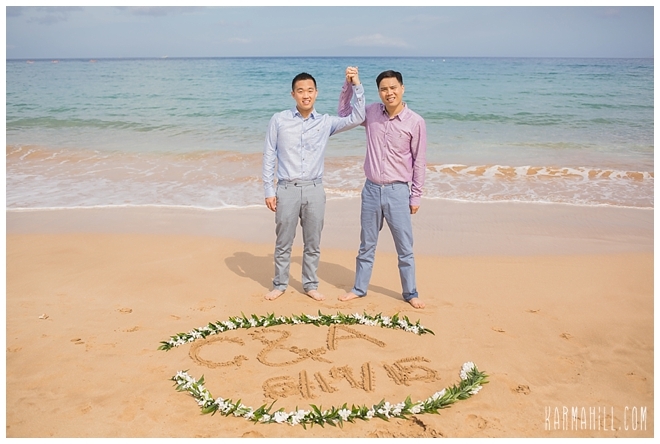 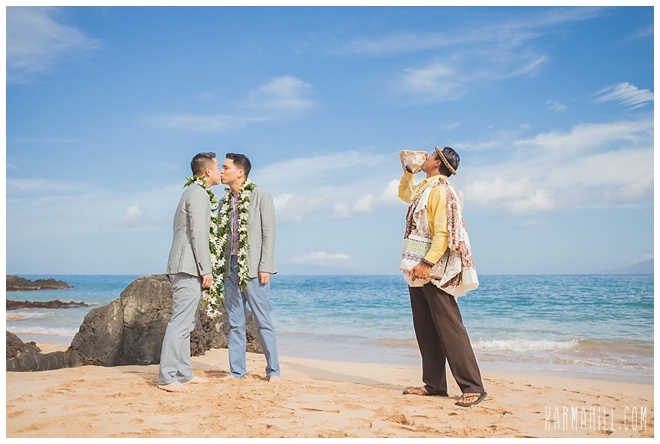 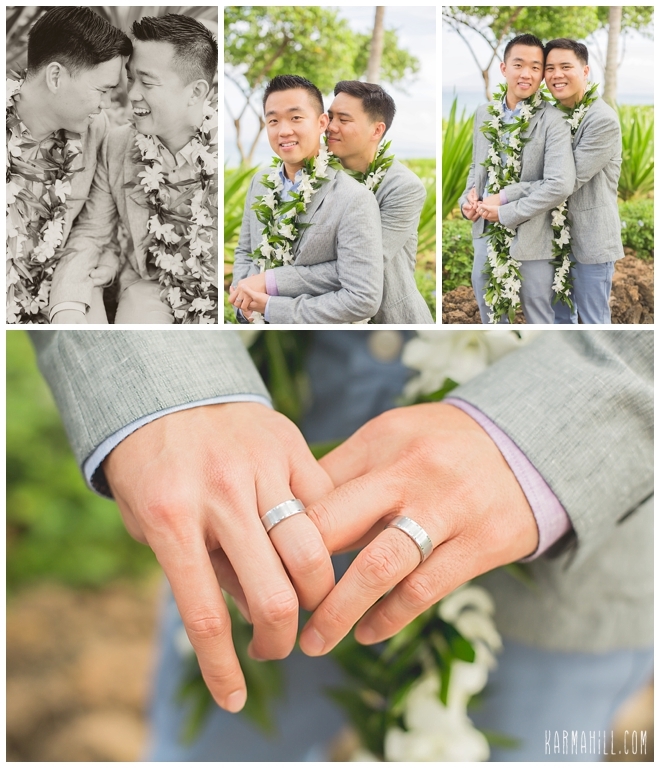 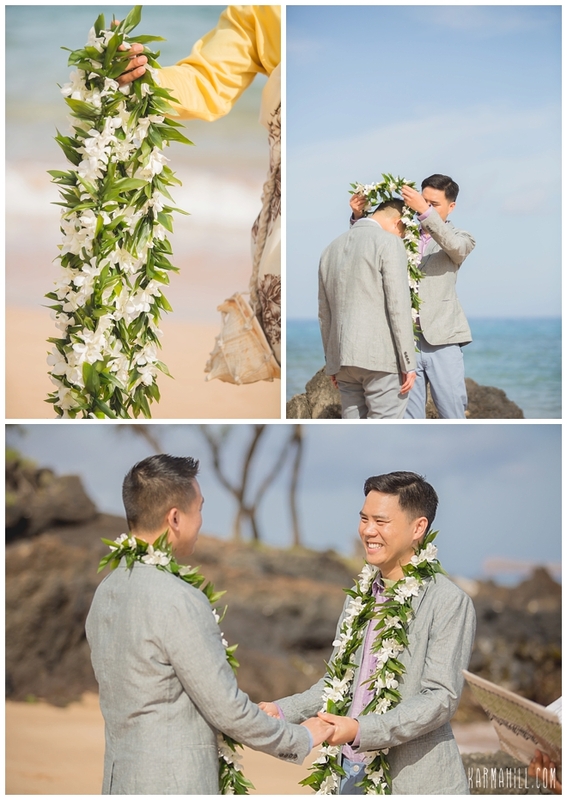 These two handsome gents eloped to Maui and were planning on honeymooning in Oahu, island hopping at it's best! 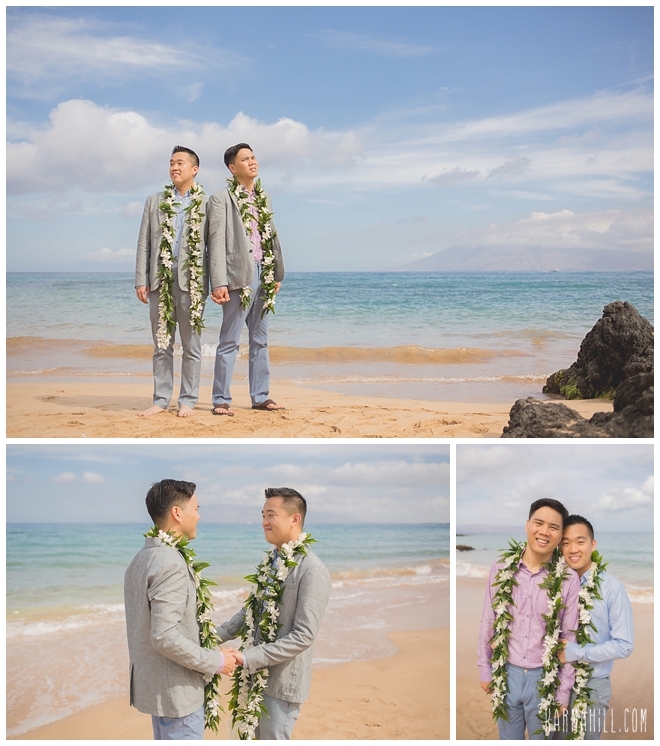 Even though they eloped, they still had people cheering them on as beach goers erupted in to applause when Kahu Kale announced them husband and husband! 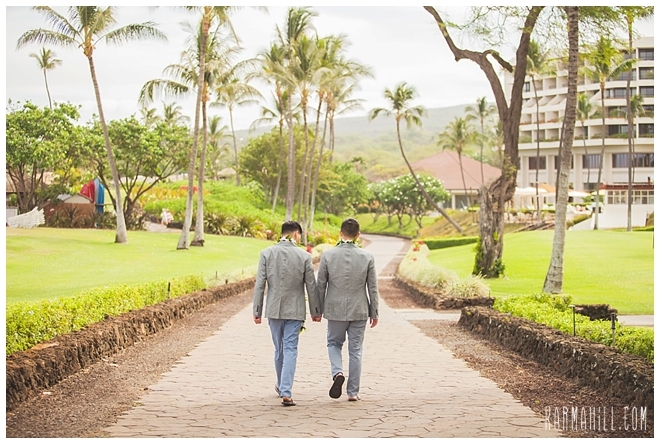 We had such a great time with these two and loved being a part of their celebration. 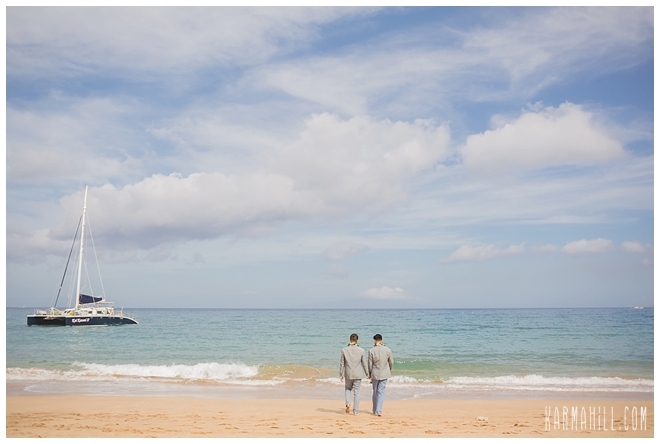 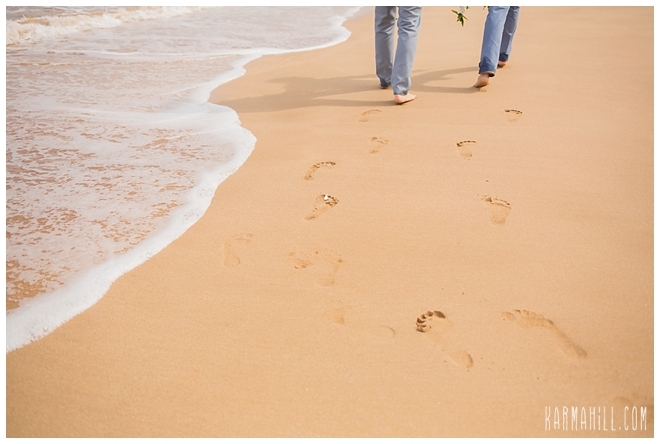 We hope you two had an amazing Maui wedding and honeymoon and we hope to see you back on Maui soon!! 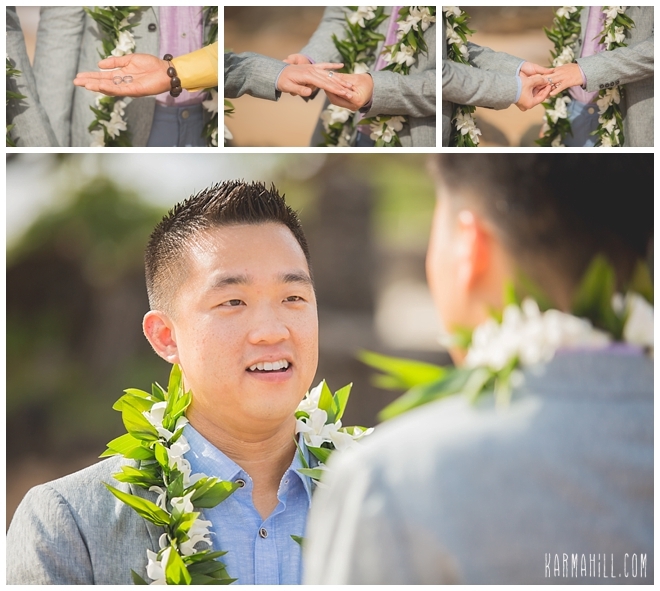 Check out our last Maui wedding with Casey & Dustin!